Men who consume too much animal protein and meat have a significantly high risk of premature death, according to a new study. The study was conducted by a team from the University of Eastern Finland, whose findings back up previous research on this subject. Previous studies have found that a diet rich in animal protein, particularly one that includes a lot of processed meats like cold cuts and sausages, can raise the risk of death. 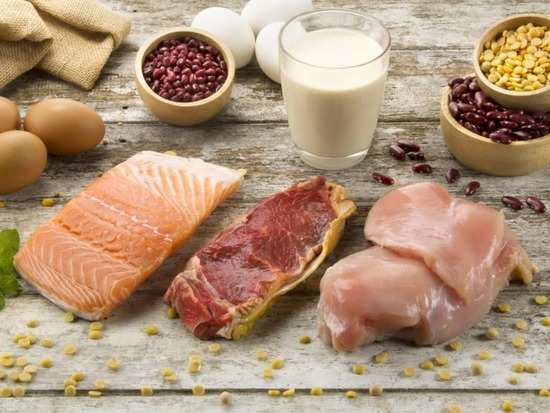 "However, these findings should not be generalised to older people who are at a greater risk of malnutrition and whose intake of protein often remains below the recommended amount," PhD Student Heli Virtanen from the University of Eastern Finland, told a news portal. For the study, the team examined close to 2,600 Finnish men aged between 42 and 60. The research is based on the Kuopio Ischaemic Heart Disease Risk Factor Study (KIHD). The team made a note of dietary protein, protein sources, lifestyle factors and dietary habits. Most of the men who were part of the study consumed red meat. They also monitored a controlled group of men who followed a healthier diet that included plant-based protein. The study began in 1984. To study mortality, the team analysed data fromStatistics Finland after a follow-up period, which was almost 20 years later. Researchers found men who consumed more animal protein had a greater risk of death after a follow-up period. Men had a 23 per cent higher risk of death if their main source of protein was meat compared to those who opted for a plant-based protein in their diet. The men at risk of early death were consuming more than 200 grams per day of meat compared to the men who were consuming 100 grams of meat. The team also found men who consumed a lot of animal protein were at higher risk of premature death if they were already suffering from diabetes, cancer and heart disease. However, this link was not the same for men who did not have these diseases. “Obese individuals, as well as individuals with unhealthy lifestyle choices,are more likely to have underlying metabolic or inflammatory disorders which could enhance the adverse effects of high animal protein intake,” Dr. Pagona Lagiou, a nutrition researcher at the University of Athens who wasn’t involved in the study, told a news portal. Many nutritionists urge people to reduce their consumption of red and processed meats as excess amounts of it can do a lot of damage to the body. The recommendation for meat products in Finland is about 500 grams per week. While the study's findings are insightful, questions still remain. Researchers have yet to understand how protein and different types of protein sources impact our health. Researchers hope the findings lead to a further investigation on how protein impacts people with pre-existing health conditions that are serious. The study's findings were originally published in the journal American Journal of Clinical Nutrition.